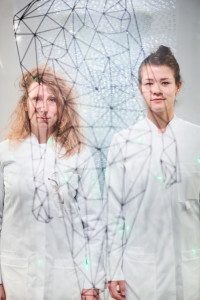 Fashion Designer Karin Vlug (r.) and Industrial Designer Laura Duncker (AMFI) work together on research project Smart Fashion Production. 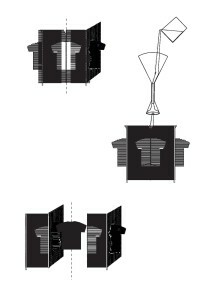 Developing a new fashion production system beyond traditional methods such as pattern making and sewing. 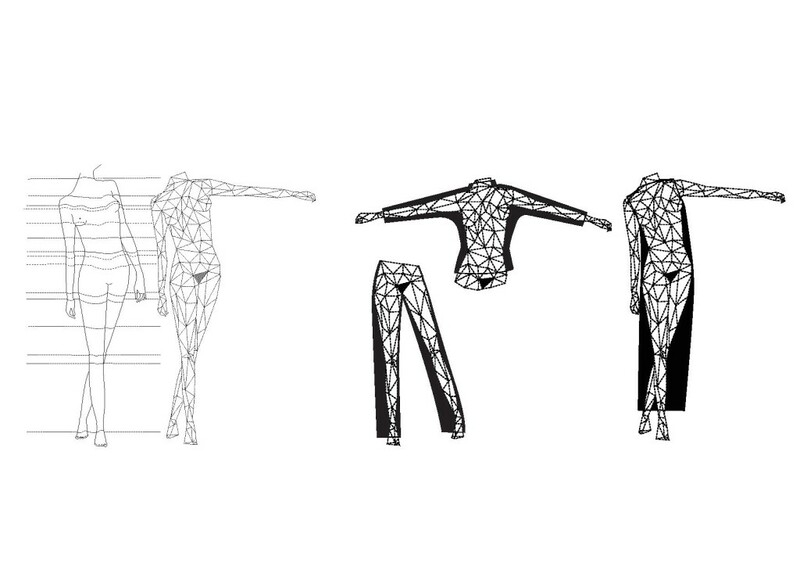 Designs will be based upon personal three dimensional bodyscans for garments with a perfect fit. The production will be directly in 3D and therefore without left over material or extensive handwork. Karin’s research started in september 2014 as a KIEM project, she worked as a concept developer for Prof. Jose Teunissen. Now Karin and Laura are working with ArtEZ, CoE Future Makers, AMFI, ACIN, Modint, Maan R&D, Sizing Science and Optimal Forming Solutions. A current production process of a t-shirt starts with base material, for instance meshed wood shreds. This liquid pulp is then extruded and fixated into fibers. Yarns are spun and textiles are knitted into flat rectangle pieces. From which pattern pieces are cut, and finally sewn together. This process leaves us with a lot of leftover material. It also requires extensive handwork, and because this is mostly done in low wage countries, the garment has to be shipped all over the world. We want to research an alternative production method, without the need of any flat pattern parts or sewing. 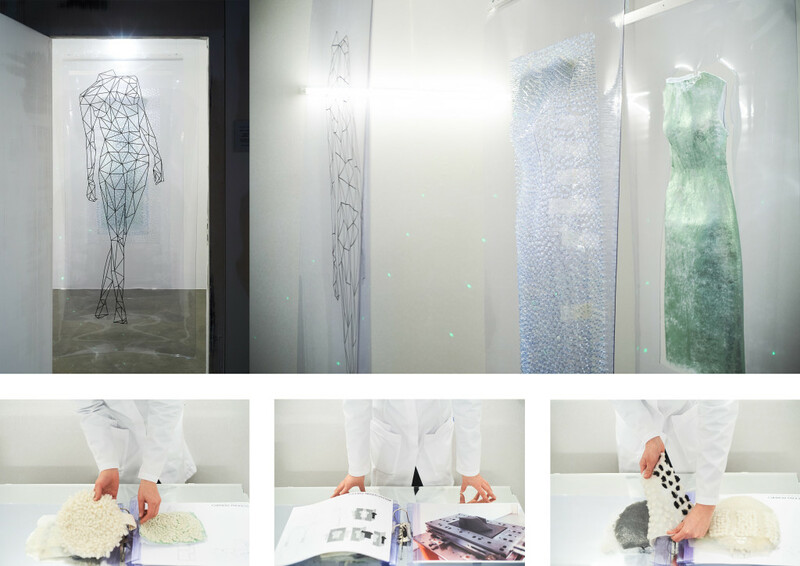 A method in which designers morph the outlines of a body scan into a three-dimensional design. 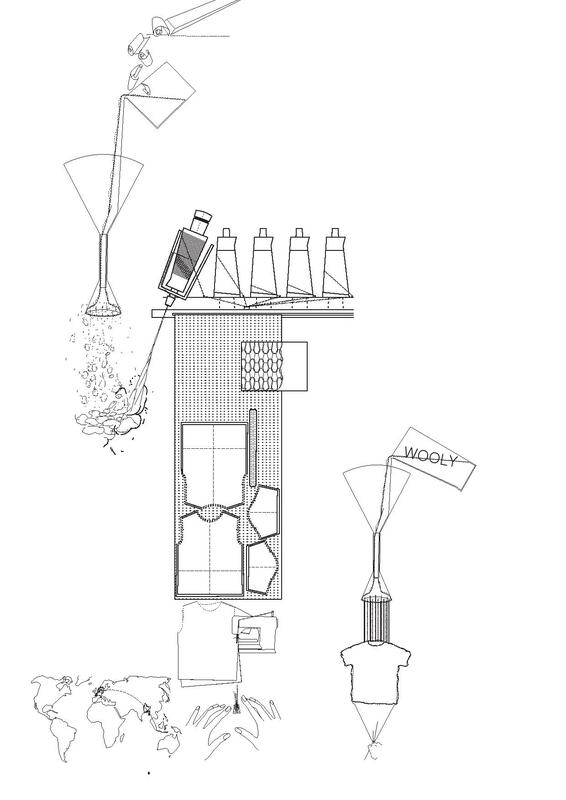 This digital design will be translated into a flexible mould. Of which the the pin board mould is an option we are researching. 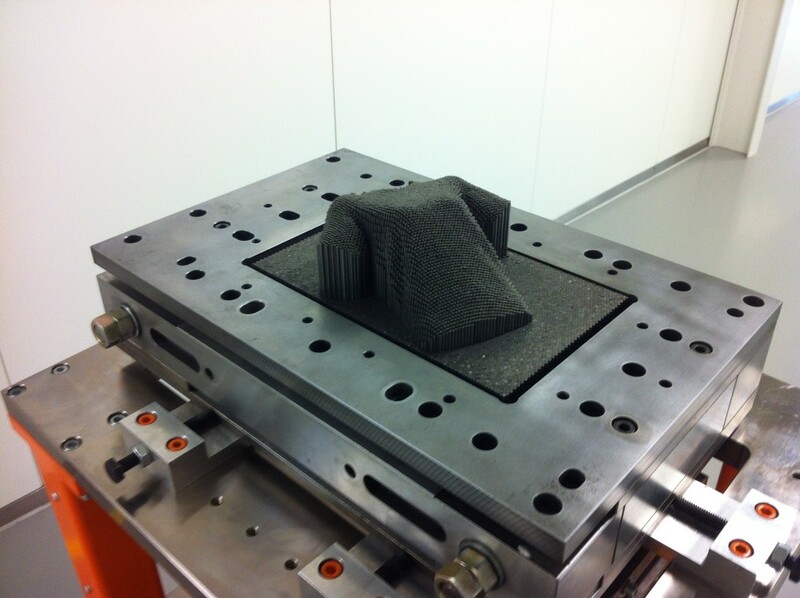 Textile fibers will be extruded and fixated around or inside this flexible mould into a garment with a perfect fit. 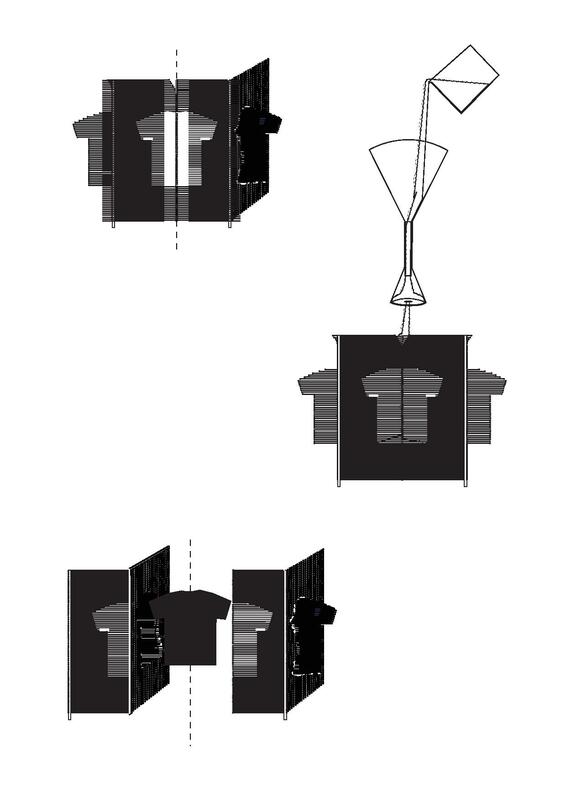 With Optimal Forming Solutions we are working on a flexible mould system suited for garment production. This new process’ asset is no leftover material or extensive handwork. 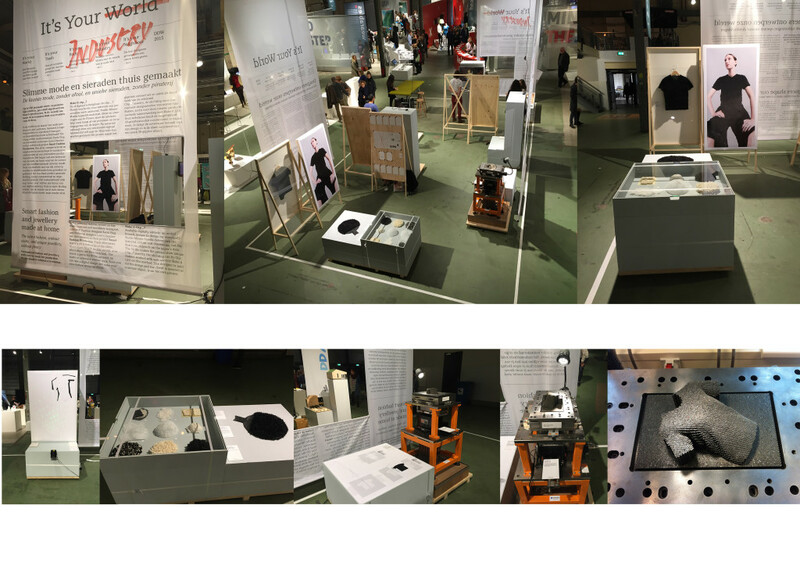 Research on a renewed design method and fabric qualities, such as its aesthetics and wearability, is needed.